We’re very pleased to announce the release of the Community Action Month Toolkit for May 2019, which is now available to download in .pdf format. This year’s toolkit includes all-new sample tweets and Community Action memes, new press release and proclamation templates, and new network talking points tailored to promote the impact of our network with the messaging and data featured in the recently released National Impact Report. Please join us in an array of exciting activities that we’ve outlined in the Community Action Month Calendar, which includes daily themes and hashtags along with guidance for sharing sample memes and social media posts. We’re particularly excited to be introducing Impact Wednesday (May 8 and 22) — a new theme that we’ve added to help promote the impact of Community Action — on both the local and national levels — in effort to increase the visibility of our network. Please feel free to use our sample tweets and #ImpactWednesday memes. We also have a collection of customizeable Impact Report memes available in the Impact Report Toolkit, which you can use to showcase your local data. We encourage you to get creative and take advantage of the tools and resources available in the toolkit. Inside you’ll find a video production guide, tips for talking to the press, fundraising appeal pointers and more. Visit our new Community Action Month webpage where you can download the toolkit as well as the Community Action Month Calendar and a variety of social media graphics. 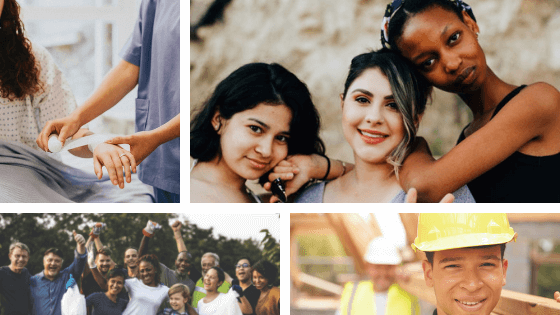 For additional assistance, please watch our 2019 Community Action Month Toolkit Webinar, which provides an overview of the toolkit and instructs you on how to use it to help organize your agency’s activities for May. We thank you for participating in Community Action Month — we’re very eager to see what you come up with this year! Please share your activities on social media and be sure the use the hashtags #CommunityActionWorks and #WeR1000Strong. Have questions? Contact our Communications and Branding Assistant, Johnny Eudaly, at jeudaly@communityactionpartnership.com. We look forward to celebrating Community Action Month with you!